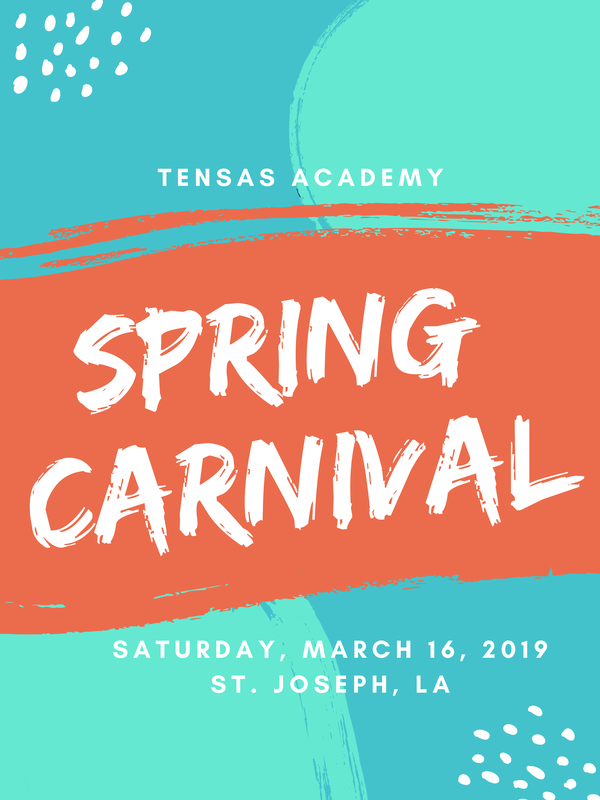 ﻿The Tensas Academy Spring Carnival has been an annual fundraiser and social gathering for 46 years. Start off your morning by purchasing tickets and challenging the kids to some of the Midway games. Make room in your freezer and take the night off in the kitchen after you make your purchases in the Gourmet Shoppe. Many of the tasty treats can't be purchased anywhere else. The Silent Auction lends itself to a combination of shopping, visiting and competition. Where else can you do those three things and help raise money for a worthy cause? The BBQ Babes will be dishing up an excellent lunch so that you don't go hungry during the Spring Carnival. The Grand Auction will be the highlight of the day. There is something for everyone in this auction and many one-of-a-kind items that you just can't find anywhere else. You only get this chance once a year, so come out with your check books ready and help support a REALLY GREAT school. Thank you for supporting Tensas Academy. ﻿You can still donate directly to Tensas Academy by clicking here. Tensas Academy is a 501 (3) c Your donation is tax deductible. 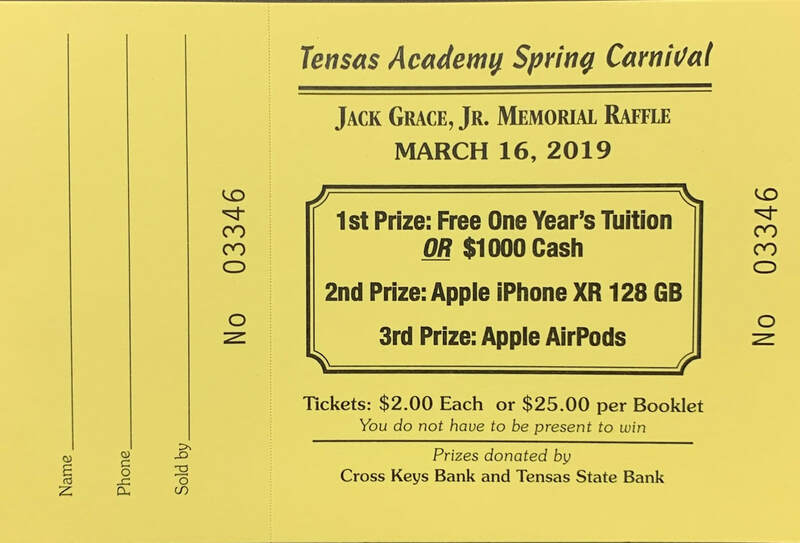 You can now purchase your Tensas Academy Spring Carnival Raffle Tickets online. Purchase one or more books by clicking on the Buy Now button. During checkout there will be an area to indicate what name you wish to place on each booklet. 10:00 am - 11:00 am- Kids Midway Games on the Football Field. Children of all ages will enjoy a variety of games hosted by the TA Teachers and their classes.